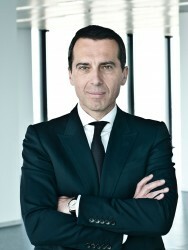 Christian Kern, CEO of Austrian Railways (ÖBB) underlines that the company must not be sold. In summer, the Austrian Vice Chancellor Michael Spindelegger started a discussion of selling ÖBB. For Kern, the debate is nothing but nonsense.